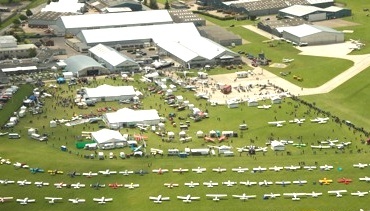 AeroExpo UK is delighted to announce that the General Aviation Industry were left smiling in the British sunshine over the weekend of 31st May – 2nd June 2013. The event has firmly put its stamp on the annual event calendar, as the UK’s Ultimate Festival of Aviation weekend! A must-attend event for the General Aviation Community and General visitors. This year’s show has proven to be the best Show ever with just over 1,000 aircraft flying in and around 12,000 general visitors through the gate over the weekend. The message coming out of the event is a much needed tonic to our industry: Plenty of Business was done!